ONCE THE 9 DAY TIME LIMIT IS UP YOU WILL HAVE 2 DAYS TO PURCHASE ANY PACKS YOU HAVE LEFT– you will not be able to collect anymore arts and crafts items or coins, you have to use the resources you have, if you don’t have enough resources all you can do is use social points to buy the requirements or wait until the event returns! The Backyard Beautification Live Event unlocks brand new furniture, decor and planters for your sims gardens, get started now to complete this event in the 9 day time limit! NOTE: I completed this on the Early Access Beta so some information may be slightly different but I will update the post as I complete the event. Here you will see you have collected enough items to unlock the Plantable Rose Starter Kit pack! When you unlock each pack, before the items are available in your home store you need to purchase them with the arts and crafts items you make- this goal is coming up! 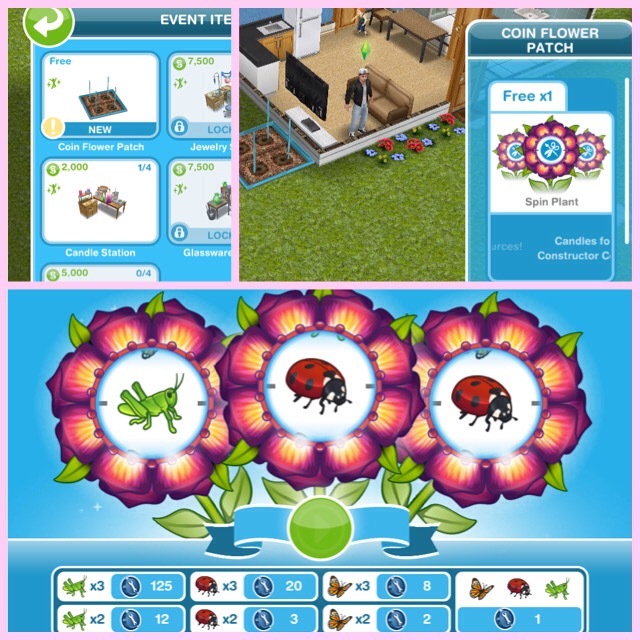 You will only unlock the designer backyard if you manage to buy all the other prizes in the time limit, the first one built is free after that they will cost simoleons. Personally I just don’t like this house template, if you want to unlock items from some previous events then you can find loads of them in this house but I think I will just be building my own! Unsure how to use your new planters? Click here to watch my video! Check out my Garden Tour here! Have you updated your game yet? Where do you prefer building the Designer Bakyard house? Standard or Premium lot? I prefer the premium but I won’t be building either as personally I don’t think its anything special! This isn’t related… but I need EXTREME HELP! 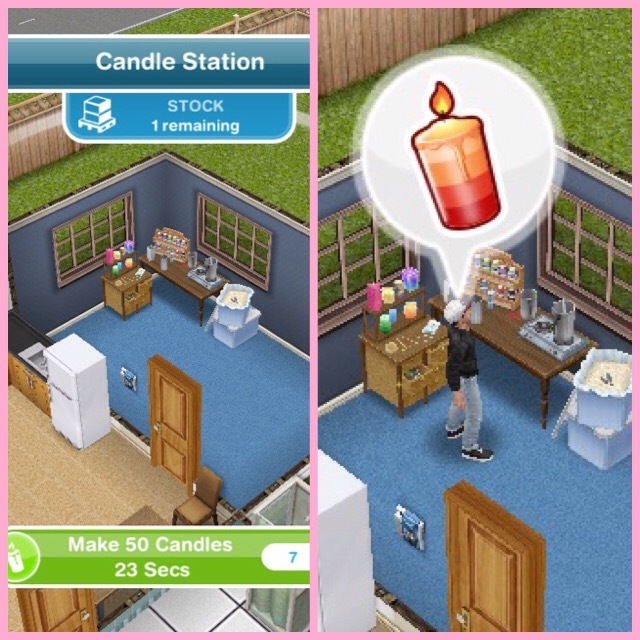 I usually can, but just today, my Sims Freepla6 app wasn’t letting me bake, it only gave the cooking option. I need to bake a rainbow cake really badly!! I tried buying from the Supermarket but idk if I can rush it from there and I need it now… am I able to rush it from the supermarket?? Please help!! I have been told by someone on here that you can place the fence next to the wall if you put a door on the corner first, then you just remove the door and your fence will be by the wall, it really works! Hello i have the same problem.. but i saw in the premium house in the left back area wall the fence connected with the wall, but when i try in my house it won’t connect.. us that a glitch? It isn’t a glitch, they have probably just designed it so we cannot do that ourselves but they can do anything when they are designing house templates! If you place a door in the corner you want to arrack the fence to it allows you to connect to the wall. Then you can remove the door and it stays attached. I tested it and this works. Why the fence can’t connect to the wall? Which do you prefer? The Premium or standard lot? On the Wedding Belles Live Event I went with your choice and I absolutely loved it! I can’t really tell on here which one looks better. Thanks and by the way, this blog has been a life saver when stuck on anything!! Personally I won’t be building either of these as I think I can do better but I do prefer the premium over the standard. You’re welcome, I’m glad it helps! Any surefire tips on constructor coins? I always seem to be short. I mean you get 33 from dailies and about 58 from the prizes. I counted quick but it looks like you need about 710 to finish. Even with the candle spinner that would be hard without some luck. Unfortunately you listed all the ways! The problem is it is mostly about luck on the spin plant. 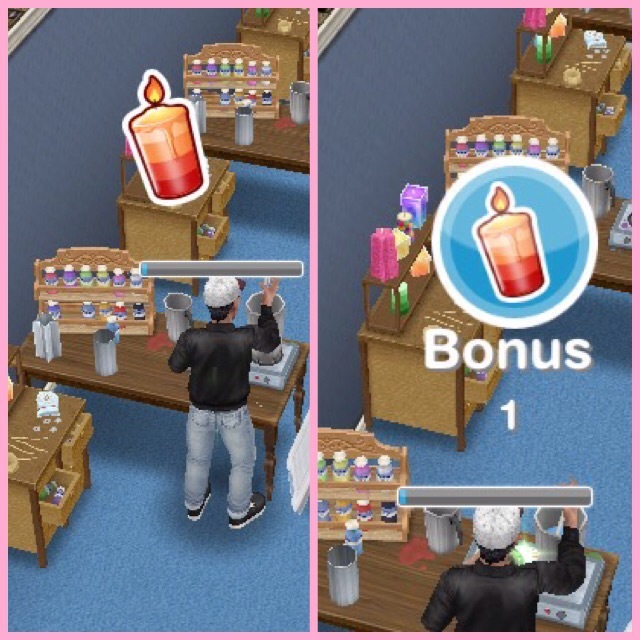 All you can really do is try and earn as many extra candles as possible to use on the spin plant and hope! So f we win the grand prize will we get the entire lot for free like we did for the wedding one? Or is it just the backyard or something? You know how sometimes the Live Events return and whatever prizes you didn’t win the first time, you can win the second time? If I don’t manage to win the Designer Backyard template in time, and this event returns in the future, do you think the template will be available to win again? Yes, if the event comes back again the prize will still be the template. Hello! I am worried if I don’t complete this the first time around, then the second time around will they increase the requirements? 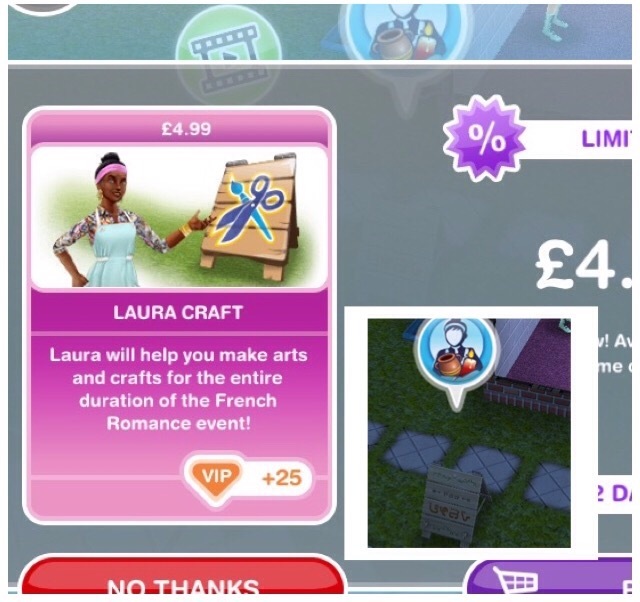 Because that is what they did for the Wedding Belles event and I really want this prize so I don’t want it to be harder the second time around! Do you think they will do that? Does completing this event just give us the items for free as opposed to having to buy it or is it impossible to get the backyard items unless we complete this event? You get one of each item you unlock for free when you purchase the pack but you don’t have to complete the event to use them. I don’t think i’ll be able to purchase both fences but i really want it. So i need ur opinion, which one is better and fits to any kind of house? If you’ve partially completed an event in the past, do you still have to wait to unlock certain things when it comes back? 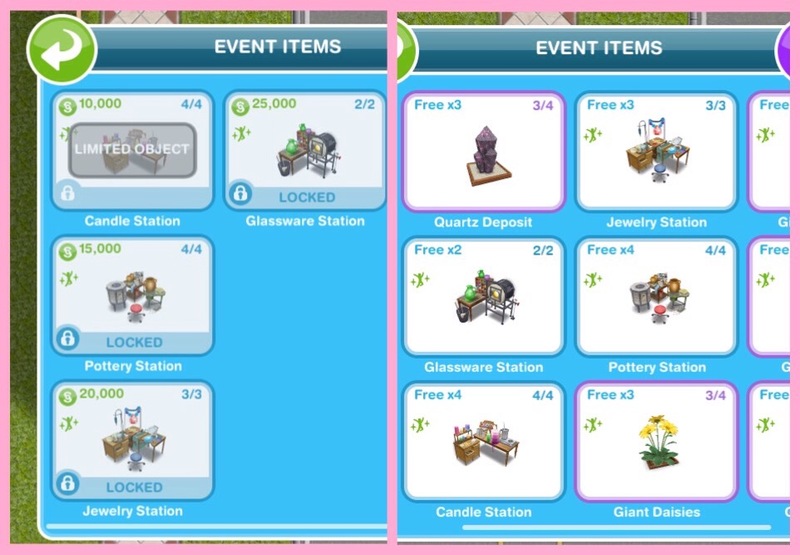 For example, say I do this event, I unlock all the stations but when it was ends, I’m still missing two of the prizes. Next time this event were comes around, do I still have to wait forever to unlock the jewelry/glassware stations or will they be unlocked automatically because I already unlocked them before? Hopefully this makes sense lol. You will be able to use them straight away when the event comes back as you already unlocked them. How do i get the stools from the designer backyard house ? If im not mistaken it’s not included in the special things unlocked by completing the event. No they aren’t from this event but I cannot remember which event they are from, sorry! I just know I have seen them before! I love, love, love your site and rely on it so much I would be lost without it now!! I came here this evening to get some more information on the Backyard Beautification time limited event and was floored when I saw the time limit was nice days!! I religiously play my Sims game and I am currently collecting items but saw today that I only had three days left and I’m 99% positive that it just started for me 2 days ago. Can you please let me know if there is some reason for that? Perhaps my game just updated two days ago (I will have to go to the Play store and see)? Thanks so much for your awesome site and any help you can give me!! Thank you for this excellent site. I have a problem with Firemonkey in that they failed to resolve a problem with the beautification event house template. The mezzanine disappeared and does not appear in inventory. I had to delete the house and rebuild on another plot. Also the new tv does not work. I put it back in inventory and purchased another same problem. Any ideas? You probably cannot store the mezzanine anymore as on the 3rd April a new quest starts that unlocks the ability to add mezzanine floors to your houses so if you remove it you will have to rebuild it from now on. What happens when you try and use the TV? why the time limit is just 3 days not 9 days in my the sims? This event is only available for a limited amount of time, if you start late then you will not have the full time limit. Sorry I didn’t realise I was doing this! I would never tip toe around my opinions for EAs benefit, I think its important to give feedback to them when things aren’t right. I never really give my opinion on live events though, I think most people know by now I have never been a fan of them so there isn’t much else I can say apart from post the information. Although whenever I do give my opinion I usually get people telling me I am wrong.. I unlocked the fenceing but can not attach it to any home. Is this glitch or is there something im missing? I personally liked the house, mostly because of the ‘rare’ items it comes with inside the home that I don’t have and wanted, like the bunk beds. 😂 I was so close to finishing, I had an hour left and I was only off by like 20 constructer coins and about a thousand of the jewelry so I just gave in and bought more SP to finish the event and win the template. I liked the house too, and was determined to unlock fountains. I finished 30 coins short, and spent SP to make up the difference. This was after crafting diligently all day at my desk job, getting more than half the bonuses each round, using my natural sleep cycle to start another round in the middle of the night (never an alarm, no way! ), and grinding cooking for the last two days to build up SP reserves. Casual players, you have my sympathies. It was hard work, and I’d only do it again if I really liked the final prize. It varies from live event to live event, there is no set time for it returning and I don’t think the game creators even know right now when that will be, sorry! You will still be able to add mezzanine floors, the quest to unlock the ability to add those starts on the 3rd April. Unfortunately you updated too late so you missed out on this event, the only thing you can do is wait for it to come back again in the future. When you said “You also unlock Pizza Oven, Concrete Bar, BBQ, Fountain, more designer walls and paving for your patios, balconies and swimming pools,” did you mean that if you unlock the house you unlock these items too? And these items only unlock if you unlock the house?